How the paper of record used partial data to reach a wrong conclusion on infant death in Mississippi. Anecdotes and stories have long been a dominant means of conveying information and establishing principles, especially moral and religious ones. 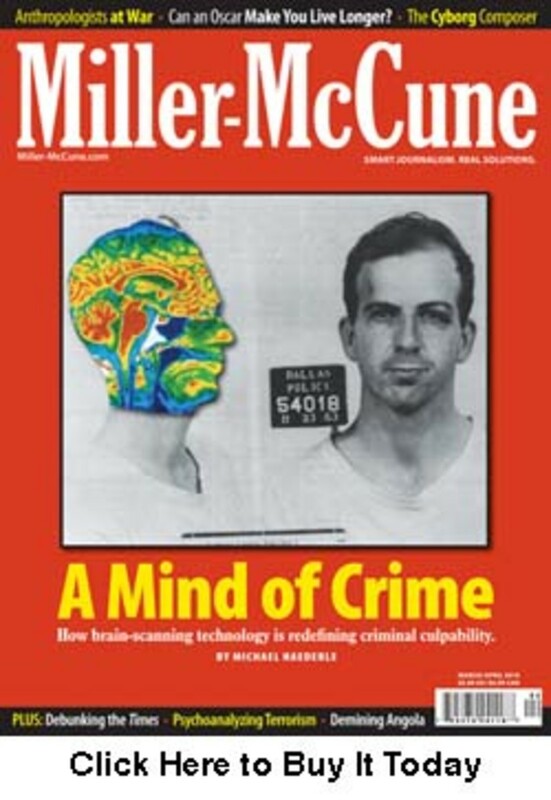 In a science-oriented society that has entered the information age, the public appetite for empirical data about every aspect of life has emerged as a complementary and sometimes competing way of understanding the world and, particularly, governmental decisions. But if policy-relevant data are often widely available, the capacity to effectively analyze and fully comprehend that data is more limited. As presented in the news media, anecdotes and partial data often lack depth of analytical research. This mixing of anecdotes that may not represent an entire population with partial or incomplete data can be a very risky enterprise. Even seemingly straightforward data about infant mortality can be surprisingly misleading when presented as a compelling anecdote, supported by seemingly authoritative but partial statistical data. In April 2007, The New York Timespublished a story by Erik Eckholm sounding the alarm that there was a sudden sharp increase in infant mortality in Mississippi. The most shocking aspect of the article was the implication that after years of improvement in infant mortality rates, especially among African-American children, there was a sudden turnaround in Mississippi, as well as several other states in the Deep South. The African-American infant mortality rate in Mississippi was said to have had a "sharp" increase, changing from 14.6 per 1,000 live births in 2004 to 17 in 2005, an increase of 2.4 deaths per 1,000 live births. Not only were the African-American Mississippi rates some of the highest in the nation, the rates were increasing. The results of the story&apos;s publication were predictable. 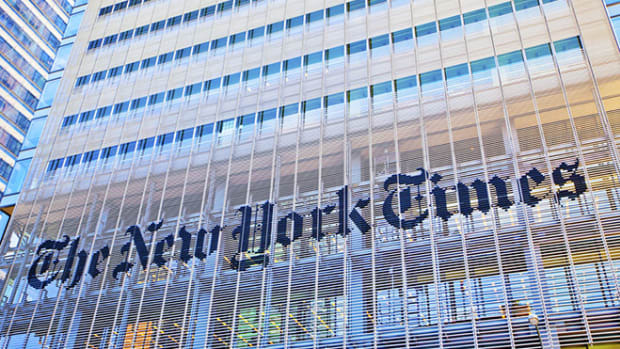 It was picked up by media outlets nationwide, including The Washington Post, National Public Radio and The Associated Press, which ultimately led to international publication of the story. The article mobilized many in the health community to respond to what was being identified as a potential health crisis, centered in the Deep South, that was also disproportionately impacting Southern African Americans. 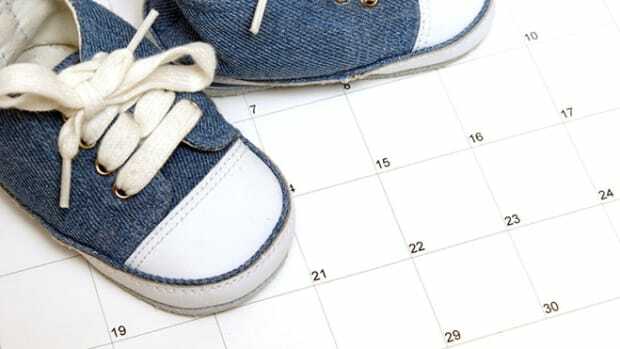 In Mississippi, health advocacy groups began attempting to identify the causes of the turnabout, as well as promoting policy changes and interventions to counter the increasing infant mortality rates. The health department began investigating model programs that have proven successful in other states. As could be expected, there was even a call for the governor to convene a commission to investigate the shift in mortality rates and advise the leadership of Mississippi on actions to address the problem. While mobilization of policymakers around such a potentially important health issue seemed both prudent and timely, the story on the supposed infant mortality turnabout presented incomplete data as supporting a common narrative about disparities in the treatment of African Americans. Actually, though, a more comprehensive look at infant mortality data would completely reshape the view of the problem, showing the "turnabout" to be a one-year statistical spike that, subsequent data indicated, was an anomaly. In fact, a rigorous look at data for the 2000-2005 time frame show that African-American infant mortality is a health issue that extends far beyond the Deep South to all regions of the country. Seven of the 10 worst rates of African-American infant mortality were outside of the Deep South, and, in addition to having higher rates, these states had larger African-American populations and, hence, more infant deaths. The ability to care for and protect the most vulnerable members of the population — infants — is generally recognized as an indicator of a society&apos;s competence. Following this reasoning, infant mortality rates are often used as one of the major important indicators of the health and well-being of a society. For example, the World Health Organization reports infant mortality rates for all 191 member states in the WHO World Health Report. The consistently low infant mortality rates of Western European countries are seen as indicative of the general success of those countries. On the other hand, higher infant mortality rates in the United States are often cited as an indication of the shortcomings of American health care and policy, and are an integral part of the arguments for health reform. Secretary of Health and Human Services Kathleen Sebelius has recently cited the high U.S. infant mortality rates — rates higher than all but three developed nations — as a sign of an "unacceptable and unsustainable" health care system. While disparities in infant mortality exist around the world, they also exist between groups within a society. Such disparities represent fundamental differences in health for these groups. These disparities can also represent groups that, according to Johns Hopkins Bloomberg School of Public Health researchers Bernard Guyer and Alyssa Wigton, often experience "economic disadvantages, unemployment, racial discrimination, drugs and political powerlessness." Based on our analysis of Centers for Disease Control and Prevention infant mortality statistics, in 2005, while the United States as a whole had a rate of 7 deaths per 1,000 live births, African Americans in the United States suffered from rates of approximately 12.8 per 1,000, comparable to those of such countries as Syria, The Bahamas and Mauritius. The magnitude of racial disparities is staggering not just in the Deep South but throughout the United States. In 2005, the U.S. rate for African Americans was more than twice as high as that of white Americans (12.8 per 1,000 versus 5.8 per 1,000). Even in states with very favorable health ratings, profound racial disparities in infant mortality persist. In Minnesota and Connecticut, two of the nation&apos;s healthiest states, the African-American infant mortality rate is more than twice the white rate. The magnitude of the disparities for African Americans ranges from no less than 1.4 times the white rate in Washington state to as large as 3.1 times the white rate in Michigan. Surprisingly, states with the highest rates of overall infant mortality are not necessarily the worst locations for African-American infant mortality. If we look at state rankings of infant mortality for only the African-American population, we find that many of the states with the highest African-American rates of infant mortality are located outside of the Deep South. For example, Michigan, Wisconsin, Tennessee, Delaware and Illinois, which ties Mississippi, are ranked as the five highest rates of African-American infant mortality in the nation. Seven of the 10 worst rates of African-American infant mortality were outside of the Deep South. In addition to having higher rates, these are also states with larger African-American populations and hence, more infant deaths. For example, Michigan and Illinois average 409.8 and 520.3 African-American infant deaths each year, respectively, compared to a much lower 288.0 deaths in Mississippi. The greatest differences within state infant mortality rates occur in Wisconsin, Michigan, Illinois, Tennessee and Delaware. 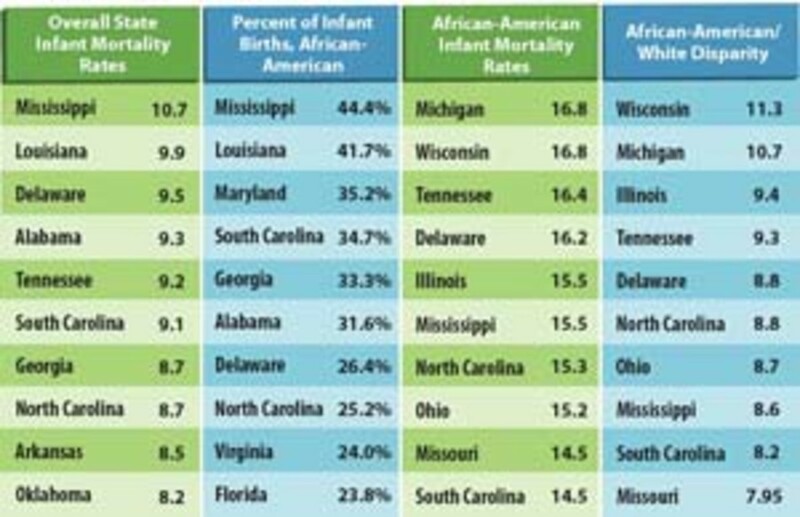 These are the same states that we identified above as having the highest African-American rates of infant mortality. Within states, racial disparities in infant mortality are closely associated with very high African-American infant mortality rates, and racial disparities in infant mortality are certainly not limited to one region of the country. 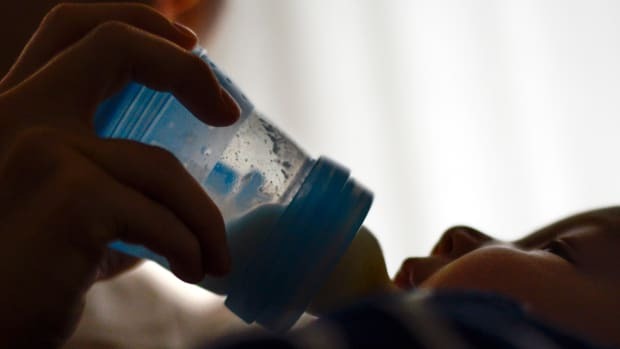 In fact, the Midwest and the Deep South are competing for this dubious distinction, with Midwest states having higher rates of African-American infant mortality and disparities in the rate of white and black infant death. The heart of Eckholm&apos;s article was based on data showing that Mississippi&apos;s overall infant mortality rate had "jumped sharply" from 9.7 to 11.4 deaths per 1,000 live births and that "striking" disparities existed for African-American Mississippians, whose rates rose from 14.2 to 17 deaths per 1,000. This change was labeled a "turnabout," and experts commented on the causes and consequences of this newly discovered "trend." One question apparently was not asked: "Were the data adequate to support the claim of a turnabout?" A one-year spike in data does not necessarily constitute the start of a trend. In fact, it is possible that infant mortality rates are quite variable and that a spike of this nature is not an unusual occurrence. 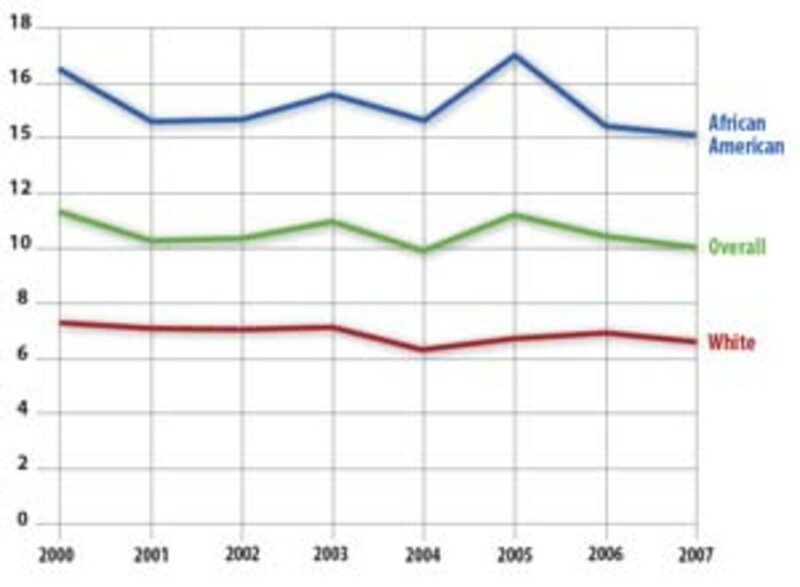 Examination of changes in rates between 2000 and 2005 finds numerous examples in which mortality rates fluctuated at similar or even greater magnitude than the shifts experienced in Mississippi in 2005, according to the CDC. (See top chart on previous page.) 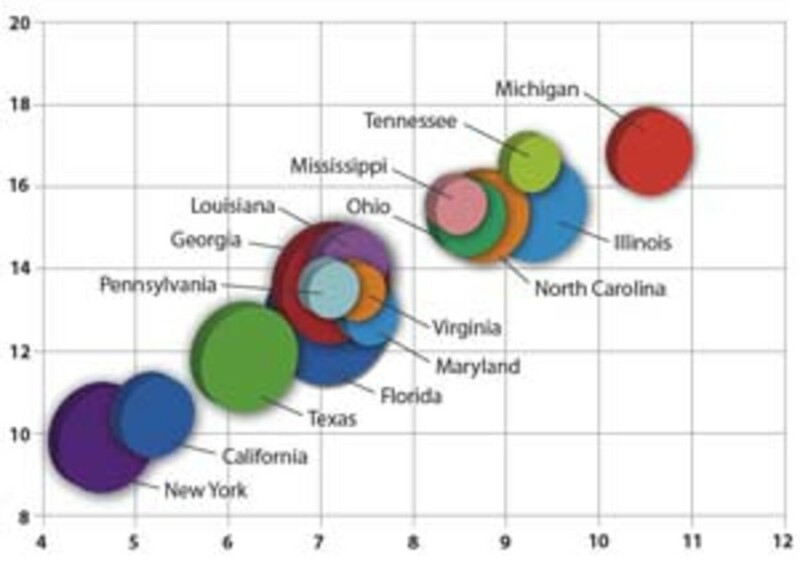 If the Mississippi increase in 2005 was a turnabout, many other states were experiencing turnabouts, sometimes having sharp increases and other times sharp decreases. If a turnabout had occurred, we would expect infant mortality rates in Mississippi to continue to rise. We now have two additional years of infant mortality data — enough information to make a more informed judgment about the possibility of a turnabout — and this new data clearly contradicts the claim of a turnabout. Rather than increasing, infant mortality rates sharply decreased for African Americans after the spike in 2005. In the very next year, there was a decline of 2.6 deaths per 1,000 births. This downward movement was even larger than the 2.4 per 1,000 upward spike that formed the epicenter of the reporting, yet this large improvement has gone unnoticed both by the media and by the health community. In fact, by 2007, the infant mortality rates for white and African-American populations in Mississippi declined to the lowest reported levels for African Americans and second-lowest levels for whites. 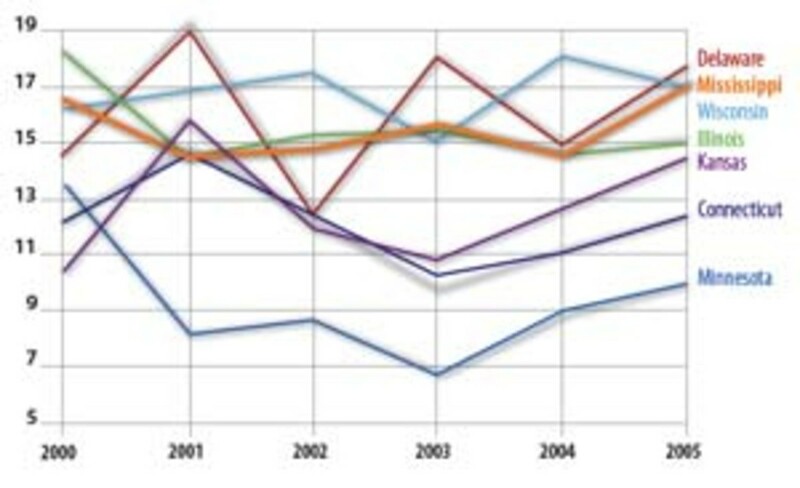 Given the considerable variability in state infant mortality rates and the additional data for 2006 and 2007, it becomes apparent that the turnabout was not a "trend" but a single-year spike best interpreted as an anomaly. When Eckholm released the "turnabout" article, we were among those who accepted the conclusions of the article, were alarmed by the findings and began to look for the sources of this new and potentially dangerous health problem. In our minds, we could not help but ask, "Was the sudden increase in infant mortality the proverbial canary in the coal mine that signaled the onset of a decline in the health of Mississippi and other Deep South states?" A better question might have been, "Why did we and most others so readily accept the finding of a &apos;turnabout&apos; in infant mortality without questioning more closely the data being presented?" The answer lies in the powerful impact of conventional wisdom, in particular the powerful impact of our notions about the detrimental effects of the history of Southern slavery, segregation, discrimination and poverty on the health of African Americans. Conventional wisdom in the United States has held that perhaps the most profound health differences are the result of race-based disparities resulting from years of exploitation, segregation and discrimination of African Americans and other minorities. The Southern U.S., with its history of slavery and segregation, is the place where these influences were and are assumed to be the most extreme, and consequently, the place where racial disparities are expected to be the most pronounced. This reasoning leads to the obvious conclusion that where racial discrimination is worse, there the health disparities will be worse as well. This conventional wisdom leads us to focus on the Deep South when observing and explaining health disparities. While this conventional wisdom is an important and useful perspective in understanding health in America, it can deflect our attention from equally detrimental impacts of segregation and discrimination in other regions of the country. In the case of the Eckholm article, the conventional wisdom around racial differences led to an examination of racial disparities, but the conventional wisdom that such disparities are a Southern phenomenon led the author and, we emphatically add, the readers to forgo an examination of racial disparities in other locations. Further examination of infant mortality data shows that racial disparities in infant mortality are one of the most profound, pervasive and persistent inequalities throughout American society. It is clear that Mississippi has one of the higher African-American infant mortality rates in the United States. This information in itself has instigated policy changes and interventions. In response, the Mississippi State Health Department began an innovative program that focused interventions on populations that have previously given birth to a very low birth weight infant — a strong predictor of low birth weight and infant mortality in future pregnancies. These programs aim to focus on a relatively small but very high-risk population. Though this program was motivated in part by the erroneous accounts of a "turnabout," it was a good policy outcome for Mississippi; African-American infant mortality rates were excessively high, even if they were not increasing or the highest in the United States. The Eckholm article resulted in a heavy focus on policy changes in Mississippi and the Deep South. But the narrow focus on Southern disparity ignored other regions of the country that also had high rates of African-American infant mortality, large health disparities and more African American infant deaths. Policies and interventions need to be developed from a national perspective to address the widespread infant mortality problem, perhaps adapting Mississippi&apos;s successful program in other states. The first step to address infant mortality should be an understanding of the national distribution of infant deaths. A regional focus is not an adequate perspective for a national health problem. University of Michigan researchers report that, after taking into account its long-term downward trend, the infant mortality rate in the U.S. rises during GOP presidencies.